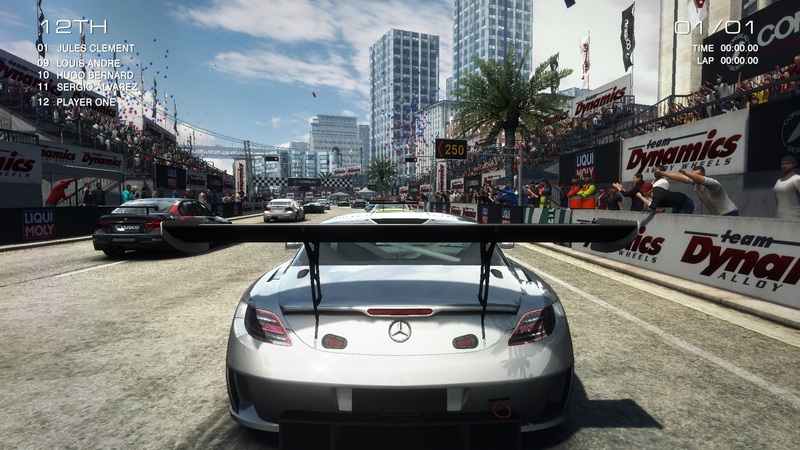 GRID Autosport is based on Codemasters' own EGO engine (now in version 3), which has seen many improvements and optimizations over the years. 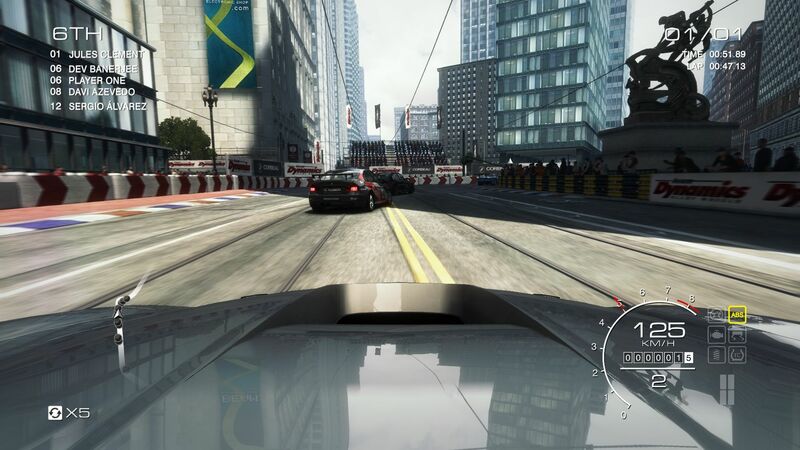 Although there aren't really any obvious differences between the new game and the previous generation at first glance (GRID 2 had very similar hardware requirements as well), the overall visual appearance doesn't have to hide from the competition. 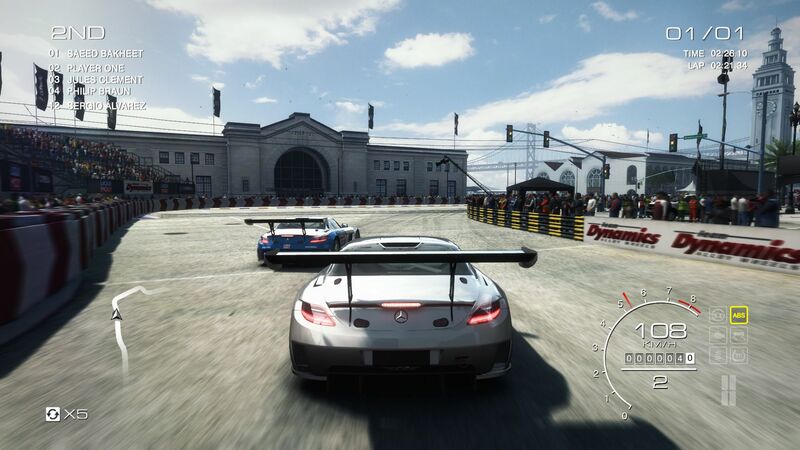 In addition to various textures as well as light and shadow effects, most of the different race cars compare well to those offered by the competing racing game Need for Speed Rivals from 2013. There's no question that there is still room for improvement in some areas, however. 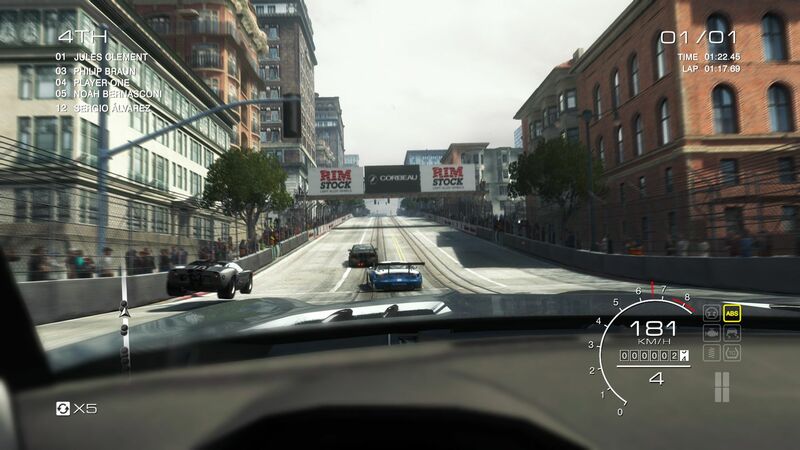 The standout feature and a major plus of GRID Autosport is the highly adjustable graphics menu. 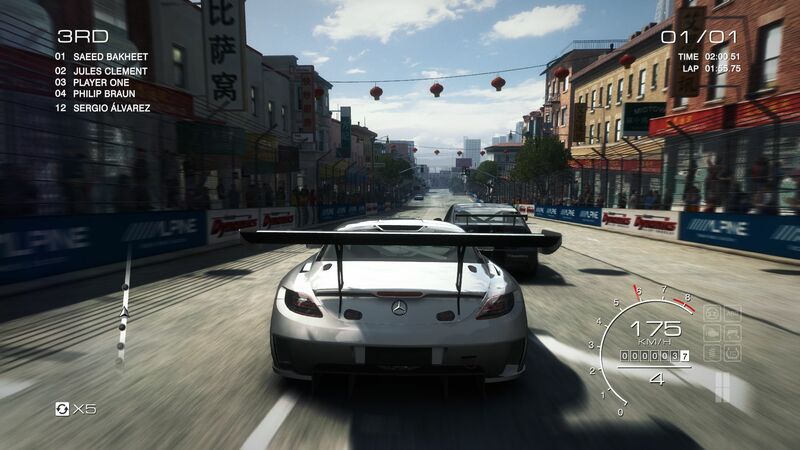 While Need for Speed Rivals only offers a handful of options, Codemasters' product has more than 20 of them, which allow the user to tailor the game to his or her liking. In addition, there are 5 presets (Ultra Low to Ultra) and several anti-aliasing options. 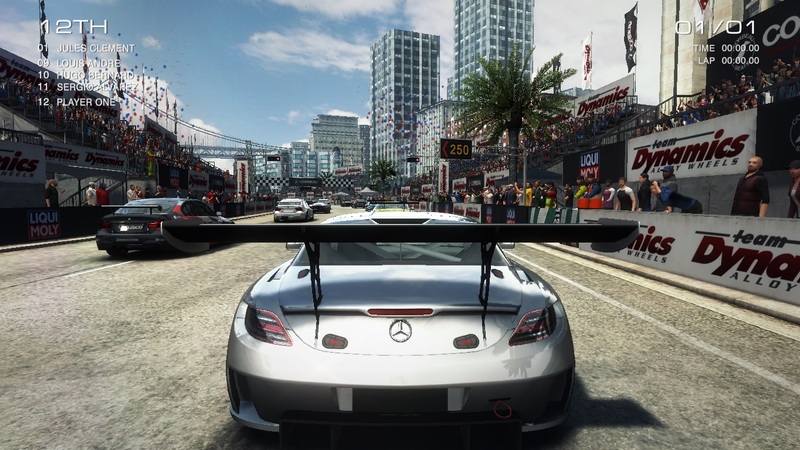 Aside from CMAA and MSAA, GRID Autosport also supports (Q)CSAA and EQAA, although the latter two options are reserved for Nvidia and AMD, respectively. 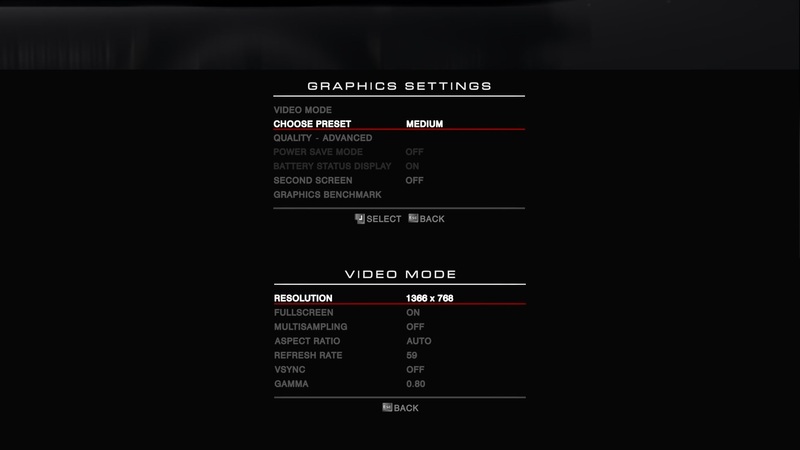 Great: since all graphics options can be adjusted on the fly, the user doesn't have to stop and restart the game after each and every adjustment. We don't really like the fact that the menus are nested within each other, however. Although we've seen this practice in the past, it makes operation a bit convoluted and not as smooth as it could be. Aside from a few software crashes and freezes in some scenes, which we weren't able to reproduce, the technology seems up to par. 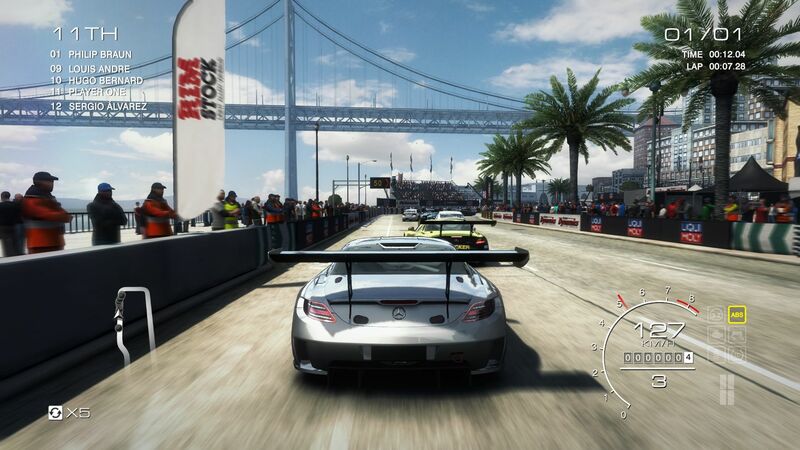 AMD notebooks therefore shouldn't have start-up issues like we experienced with F1 2013. Considering the game was released this year, the hardware requirements are actually pretty modest. 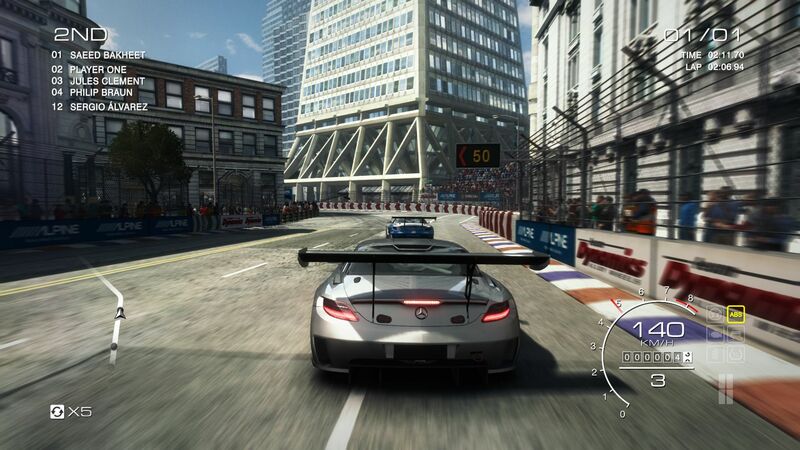 Although the visual appearance of the game has undergone subtle improvements, Autosport runs smoother than GRID 2 with the settings on low. 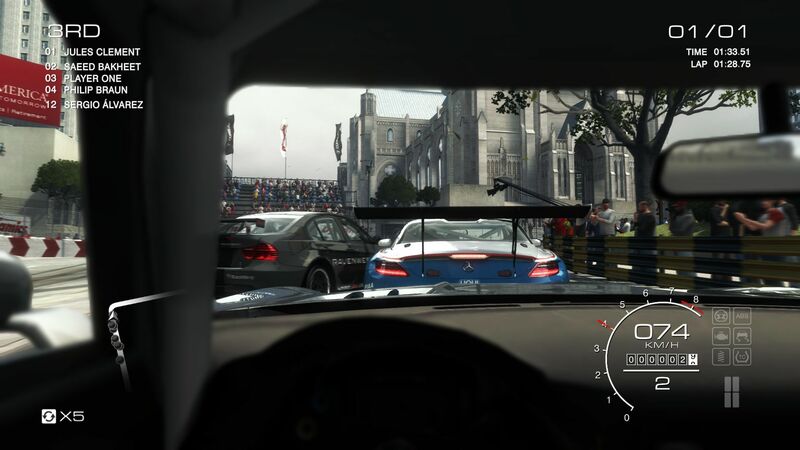 High settings do require a certain amount of power, but overall the graphics engine certainly isn't a resource hog. 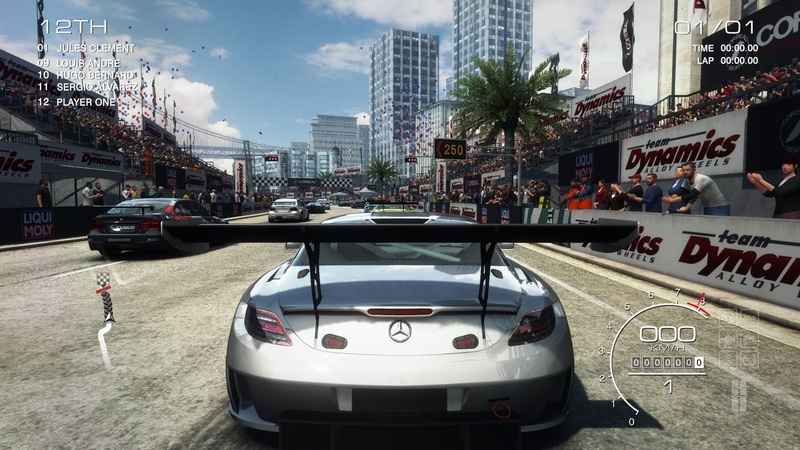 A dual-core CPU and a middle-class GPU are enough for a decent race track experience. On the Intel side, a quad-core CPU only has advantages as long as the settings are on low (see the results for the GT 750M and the GTX 850M). Only with very potent GPUs the CPU performance can become a limiting factor. 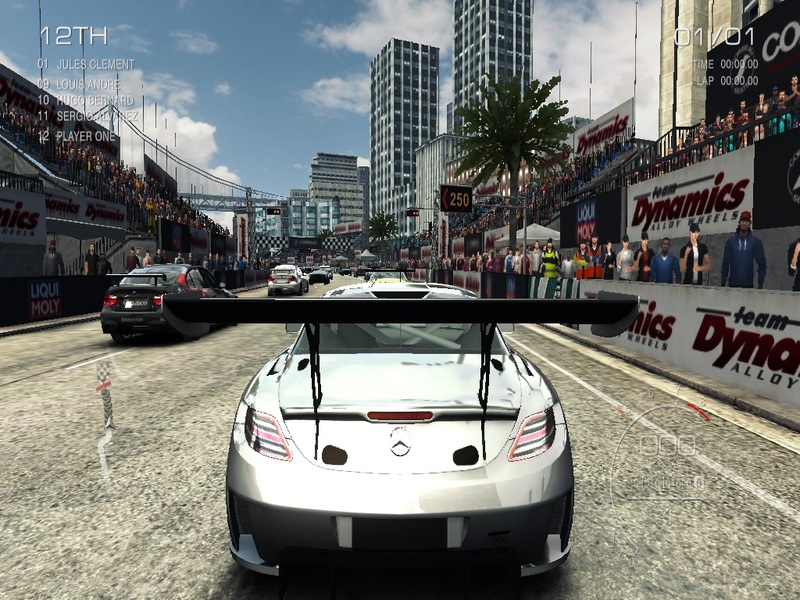 Just like previous Codemasters products, GRID Autosports contains an integrated benchmark, which is accessible directly via the graphics menu. 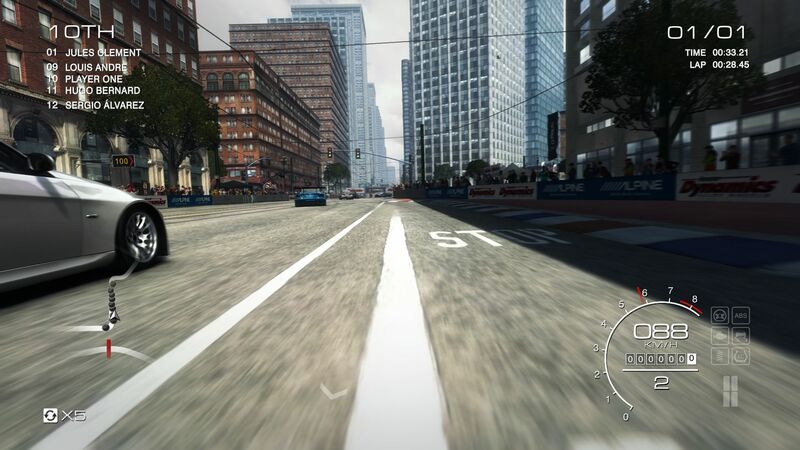 The AI then completes a lap at the Grand Prix in San Francisco in about 2 minutes and 30 seconds. Since the benchmark sequence is not always identical, but varies during each run (placement, duration, etc. ), the results are also not consistent. Multiple repeats of the benchmark test resulted in variations of up to 15 %. In some cases, a weaker GPU might thus place ahead of a more powerful one. Thanks to support from both AMD and Nvidia we were able to extend our inventory of graphics cards with a few current desktop models. 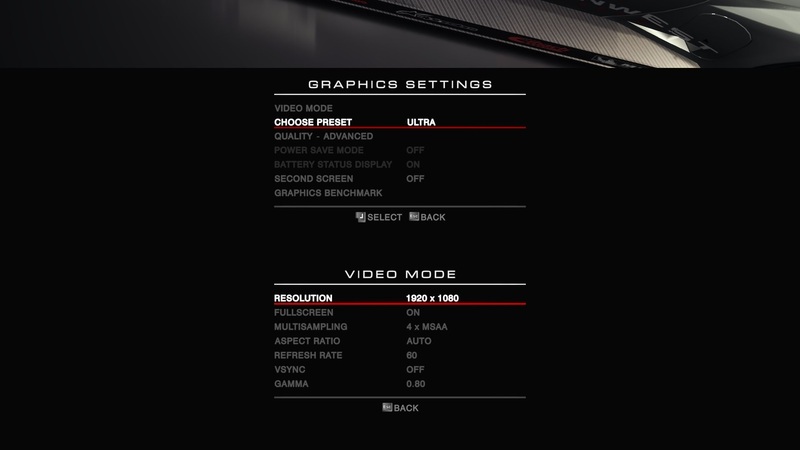 The GeForce GTX 780 Ti managed a frame rate of 123 fps and easily outperforms all single-GPU notebooks with the settings on ultra. The most powerful mobile GPU provides similar performance to a middle-class desktop card: the GeForce GTX 880M, for example, reaches 77 fps on ultra and is thus quite comparable to the GeForce GTX 760 (73 fps), which sells for 200-300 Euro ($275-$410). All things considered, even a GeForce GTX 860M (doesn't matter if Kepler or Maxwell) can guarantee a smooth gaming experience. A typical allrounder-notebook is powerful enough to support a resolution of 1920 x 1080 pixels, provided that 4x MSAA is not checked. Even with the DDR3 version of the GeForce GT 750M, we still measured frame rates of just above 40 fps. 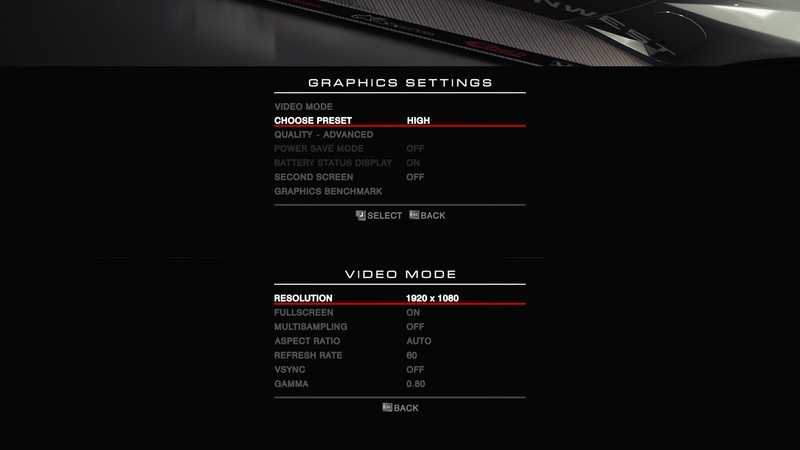 With the normal preset and a resolution of 1366 x 768 pixels, low-end GPUs from the Intel HD Graphics 4600 on up are sufficient. Only users stuck with very old or weak GPUs might have to resort to the lowest settings. 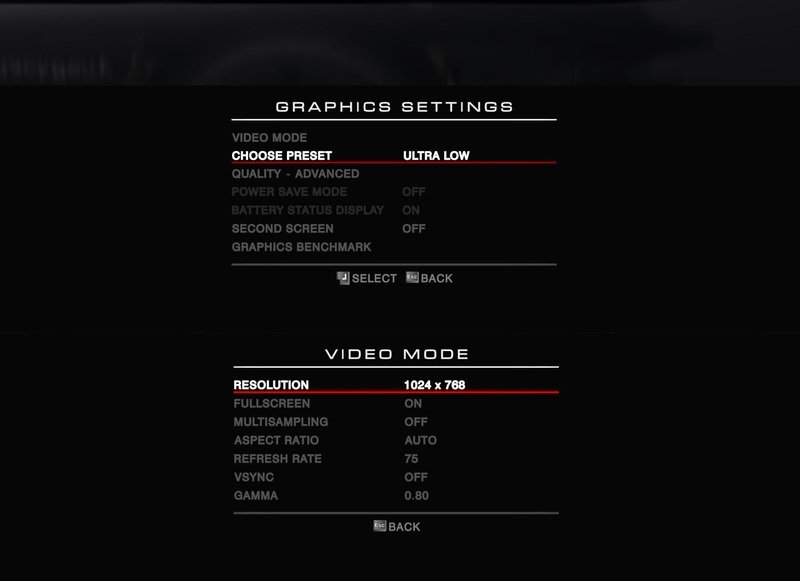 Please note: at this time, the integrated benchmark is not able to record frame rates below 12.5 fps. All these systems run 64-bit Windows 7. A special thanks goes out to Micron for sending us a 480 GByte Crucial M500 SSD. 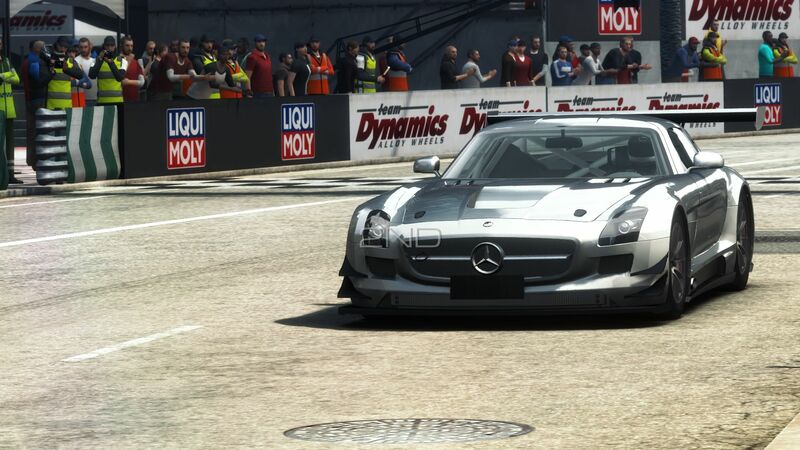 We used the following GPU drivers: Nvidia 340.43 Beta, AMD 14.6 RC2 Beta, Intel 10.18.10.3652 Beta. We've also included benchmarks from other notebooks, which might make use of different drivers.